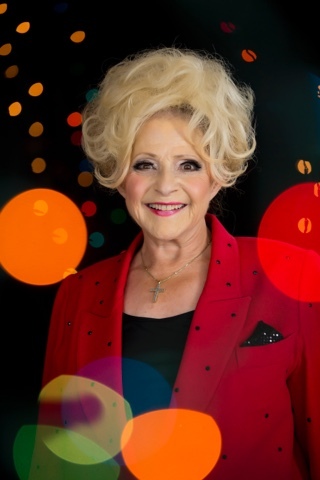 NASHVILLE, Tenn. (April 11, 2017) – Kirt Webster, President of Webster Public Relations, announces the signing of iconic entertainer Brenda Lee for exclusive public relations/publicity representation. Lee is restructuring her team as she joins the Webster PR roster, names Janet Wilcox as Manager of Brenda Lee Productions and continues booking representation with Stan Barnett at CAA. “We’ve got some big plans in the works!” exclaims “Little Miss Dynamite” Brenda Lee. “We’ve got so much momentum going on and I wanted to sign with Kirt and his team exclusively to stay on top of all of our exciting projects. Our team at Brenda Lee Productions will be headed by my longtime assistant Janet Wilcox. We're all excited about the opportunity to work with Webster PR,” Lee said. In May, Lee will return to the Grand Ole Opry as the Country Classic Spotlight Artist as she continues adding tour dates. Last December, Lee dashed to the top of the charts with “Rockin Around the Christmas Tree” to No. 1 on Billboard’s Country Streaming Songs and hit the top forty on the Billboard Hot 100 for the first time since 1961. “Rockin’ Around the Christmas Tree” also topped Billboard Holiday Airplay at No. 1. Lee has sold more than 100 million records worldwide and charted in more categories – including pop, rhythm & blues, rock, easy listening and country – than any other women in the history of recorded music. She’s been inducted into the Country Music Hall of Fame, Rock and Roll Hall of Fame and Rockabilly Hall of Fame. April 15 The Orleans Hotel & Casino -- Las Vegas, Nev.
May 11 Opry Country Classics Ryman Auditorium -- Nashville, Tenn.
May 13 Owen Bradley Music Festival -- Westmoreland, Tenn.
June 11 Grand Ole Opry -- Nashville, Tenn.
July 22 Anderson Music Hall -- Hiawassee, Ga.
Dec. 13 Golden Nugget -- Las Vegas, Nev.